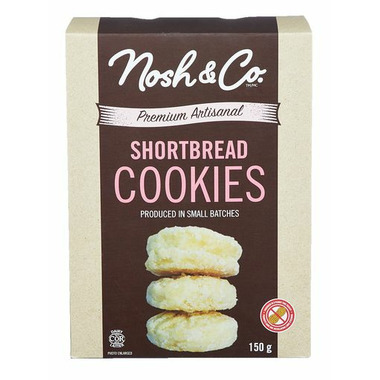 The Nosh & Co. Premium Artisanal Butter Shortbread Cookies are produced in small batches, and are made with simple, wholesome ingredients. 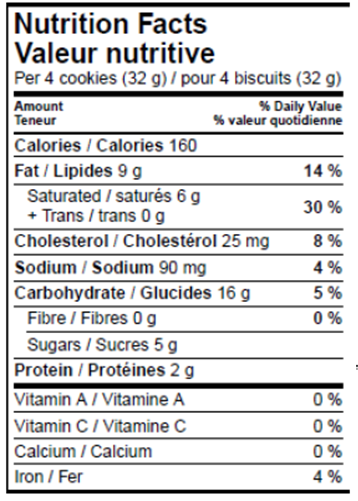 Ingredients: enriched wheat flour, butter, sugar. Contains: wheat, milk. Peanut free. These cookies are absolutely amazing! Not bad, but nothing special. I love Mary MacLeod shortbread. I absolutely LOVE that these shortbread cookies are made properly - with butter! No shortening, no margarine. Good, healthy, simple butter. I will keep ordering these lovely little treats as long as Well continues to carry them.